Back to School time puts a lot of financial pressure on families in need. All of those supplies add up quickly and, with cuts to school funding, it’s often our teachers who are making up the difference by buying supplies. This year my daughter Dominique Scura and I are trying to do something about that. We live in America’s 6th wealthiest county, but 3.7% of Morris County residents under the age of 18 still live below the poverty line. I’ve always believed that charity begins at home, so we’re holding a Morris County School Supply Drive in order to make the new school year better for disadvantaged local children.When you go to buy your supplies this year, why not pick up a little extra? Every bit helps. 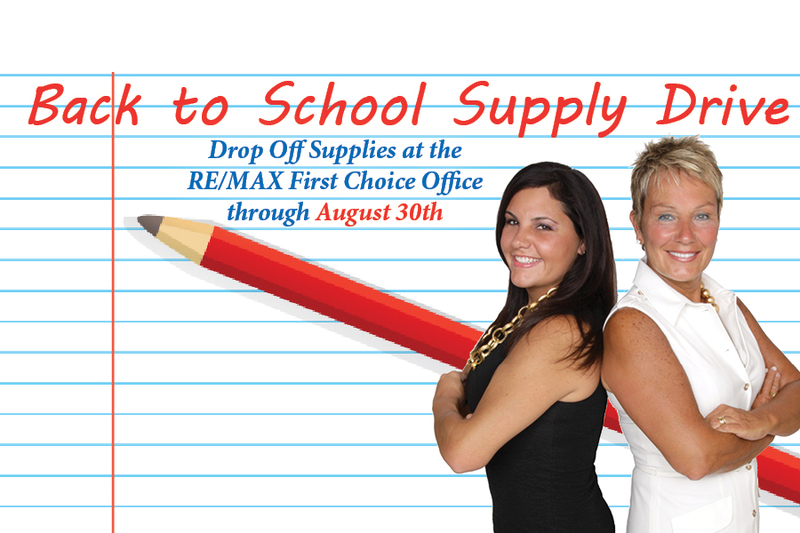 We’ll be collecting supplies at the RE/MAX First Choice office in Parsippany until August 30th. Drop your donations off and we’ll make sure that they reach the people who need it most!